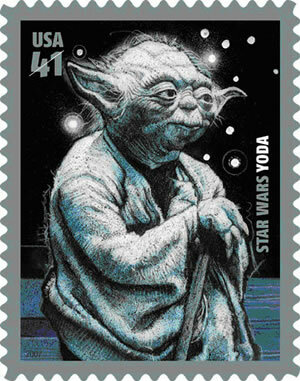 Yoda is the most powerful Jedi of the Galaxy, and probably because of that, he has a different way of communicating. Powerful you have become, Dooku. The dark side in you I sense. Who hasn't wondered about his pensive mood, superior intellect, fast reflexes, and measured delivery? Which Jedi fan hasn't admired and mimicked Yoda's speech? He sure sounds funny. Let us translate his quotes into Samskritam. "I am going to the temple and then will go to a movie"
First, translate that into an Indian language, preferably mother tongue. Now translate that same sentence, only now preserving the syntax order as in English. Did you sound funny? Or poetic? You will notice that the first time you naturally placed the verb automatically following the object - mein mandir jaaraahan hoon, uske baat movie jaaoonga. Second time you had to make a conscious effort to preserve the syntactic order - mein jaaraahaan hoon mandir, uske baat jaaoonga movie. (You will surely sound a shaayar if you say this twice). Lets get back to Yoda's wisdom. The translation is purposefuly preserving the syntactic order. Even though translating as "bhavataa itopi adhikam asti jnaatum" sounds natural, saying "adhikam asti jnaatum bhavataa itopi" does not sound funny at all. So all Yoda does is use the syntactic order "Object-Subject-Verb" (OSV) instead of the regular "Subject-Verb-Object" and suddenly we find academicians writing thesis over Yoda's constructs. Samskritam in fact allows all the combinations (not always, but more often), yet none of them tickle our ribs. Such variations are found in shlokas aplenty and that does not evoke laughter! Students with other ambitions tend to lose interest after a few attempts. Most of the time, time, or lack of it, is blamed. That reminds me of a quote by Swami Vivekananda "In the West, a man would goto any length to find gold; in the East, a man would climb any high mountain to gain knowledge". One may recall Homer Simpson climbing all the way, along with Apu, to a high mountain to ask a Rshi three questions. (Are you really the head of Kwik-E-Mart? "Yes"; Are you? "Yes"; Really? - "Yes, Thank you come again!"). A frequent folly committed by beginner Indian students is trying to think in English. The structural and syntactical differences just dont match. Thinking in mother tongue will yield richer dividends and I am not talking just about word similarities, but the syntax itself. This is a very important point to grasp but infact a hard rule to follow. But what about the people with English as their mother tongue? Easy-breezy. Start thinking like Yoda! 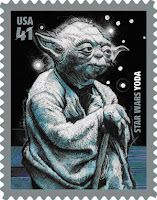 I cannot be sure if George Lucas intended or not, but Yoda in Samskritam means Warrior (yodha:). Lazy googling suggests he was influenced by Joseph Campbell who in turn was influenced by Oriental stories. I hope some day Star Wars will be translated into Samskritam. Only suddenly Yoda will not be funny anymore. May be he is the one who talks correctly and we all talk funny. You see, English is surely a phunny language. Only if that way not necessarily Yoda speaks.